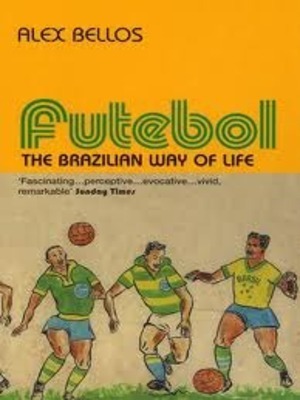 As sociology, Alex Bellos’ Futebol: The Brazilian Way of Life is a little scant. The book purports to analyse Brazilian culture and society through the refractory prism of its famously widespread obsession with football (soccer, to we clueless North Americans), but tends to rely on high-flown notions of “national characteristics” and pat observations on income disparity and urbanization. As sporting analysis, it is more invested in superstitions and vague notions like “passion” or “heart” than the nuts and bolts of tactics and statistics, but Bellos rarely bothers much with the ins and outs of the game. Because Futebol is, more than anything, a disparate cultural panorama sort of book. It’s about detail and colour more than it is about argumentative consistency, its character sketches aiming at larger themes and social trends in Brazil but ultimately settling on the specific eccentricities of the people being sketched rather than the cultural forces that they represent. In its aims rather than its execution, Futebol is reminiscent of Franklin Foer’s excellent How Soccer Explains the World (which Bellos’ book predates by two years). Foer’s globe-trotting chapters on the beautiful game’s shadow role in 20th century developments from ethnic cleansing in the former Yugoslavia to Silvio Berlusconi’s corrupt corporate/political/sporting empire in Italy to the centuries-old sectarian divisions played out in the Rangers/Celtic rivalry in Glasgow do indeed seem patterned on Bellos’ cultural explorations in Brazil. But Foer does a better job of accomplishing Bellos’ goal of reading the macro from the micro, ultimately. While I can’t recall many notable stylistic flourishes or impressive turns of phrase from How Soccer Explains the World, Foer’s overall success in opposition to Bellos’ general lack thereof is likely down to writerly ability. Bellos, who wrote Futebol while he was a correspondent for British papers The Guardian and The Observer in Rio de Janeiro, certainly observes well. He also goes to great lengths in his research, tracking down forgotten footballing heroes in remote, modest shacks, venturing into the Amazon to investigate the country’s largest amateur tournament, and braving the wrath of the professional clubs’ infamous cartolas (a term for the often-criminal controlling bosses of the pro game). But Bellos’ generally prose falls short, and he’s in dire need of a keener editor. Aside from several glaring typos and a whopper of a factual error (he identifies the 1976 Olympic Games as being held not in Montreal but in Moscow, which hosted them in 1980), most every joke he tries to make falls painfully flat. He has the junior headline writer’s fondness for execrable puns, among them a political reference to “right-wingers and left-backs” and dubbing some fellow flame-costumed samba marchers “friendly fires”. Bellos also inserts himself into his explorations far too gladly. Journalistic objectivity is a mythic relic of an idea anyway, and would not serve much purpose in a study of a nation’s passionate engagement with a beloved sport, but a disservice is done to his perspective by his active narrator approach. It would be a bit foolish to dismiss Bellos’ contribution to a wider understanding of Brazilian culture and society through the futebol lens entirely based on some clumsy writing and editing habits, though. The details of his intertwined sketches tend towards the fascinating, and he does scratch at important features of the remarkable nation of Brazil despite the issues, if only really on the surface. Some of his ultimate arguments about Brazilian football’s late ’90s struggles, as presented through the thoughtful and educated Brazilian midfield legend Sócrates, were rendered moot by the national team’s 2002 World Cup title, which came mere months after the book was published and did much to re-establish the popular image of Brazilian football’s aesthetic flamboyance and virtuosity. Overall, however, Bellos might just cover too much ground with Futebol. It does not manage the direct and focused honesty about Brazil’s quotidian exhilirations and contradictions that the great film City of God did, and also can’t quite pin down the fundamental vitality of the beautiful game in everyday life that Foer uncovers in his similarly-themed account. It’s engaging, occasionally absorbing, insightful once or twice, but mostly works very hard to provide a view of the entire pitch when a more focused effort would do. Futebol thus falls short in the very terms of the so-called “Brazilian way of life” as reflected through football: where it should appear elegant and effortless, it is instead laboured and drenched in work sweat.